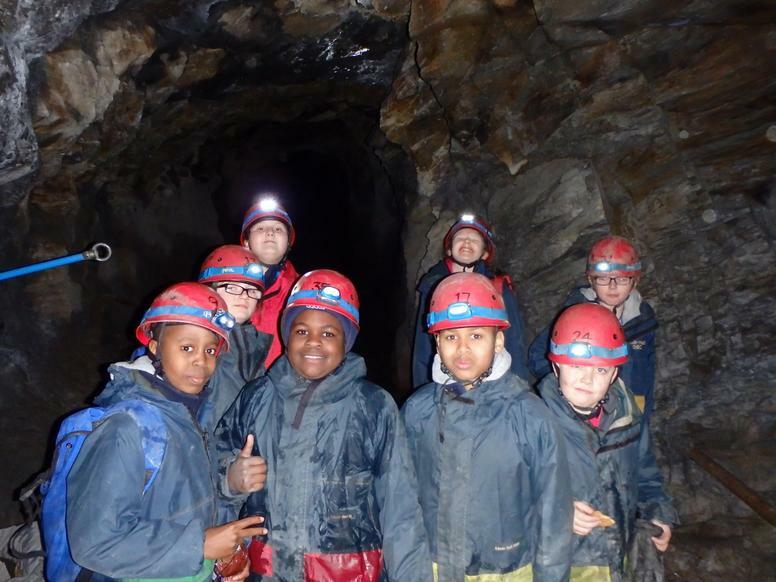 Children are on the way back. 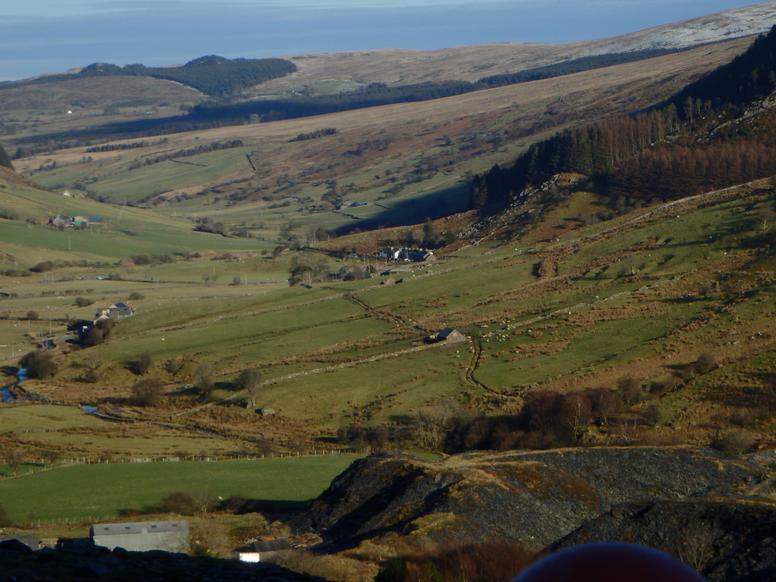 Traffic allowing they should be back at around 1.30pm. 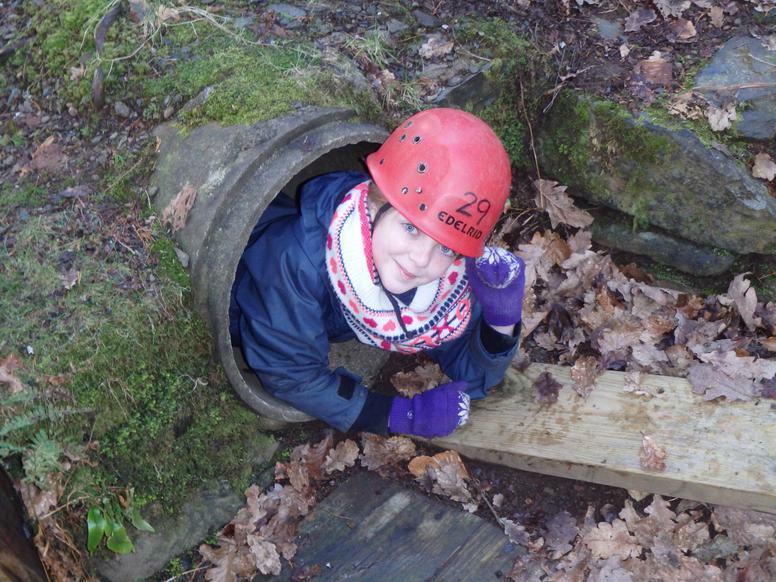 Another super day at Lledr Hall! 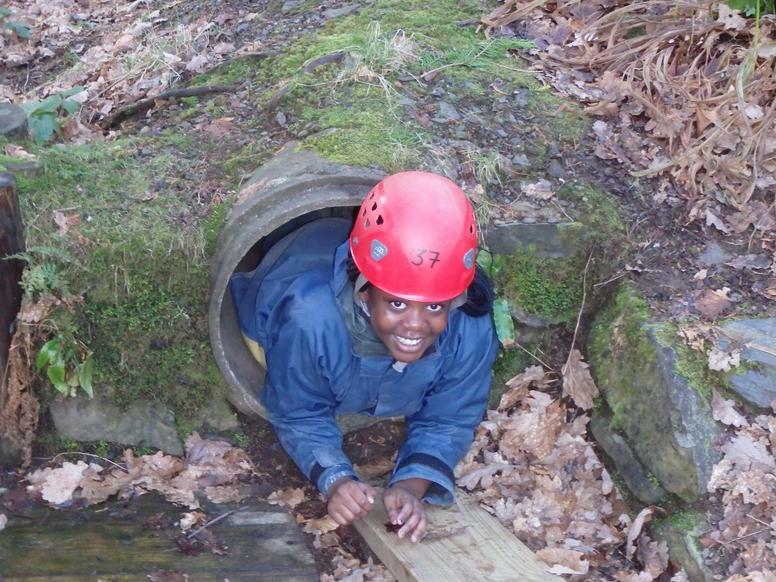 Today we swapped activities from yesterday and thoroughly enjoyed every moment. 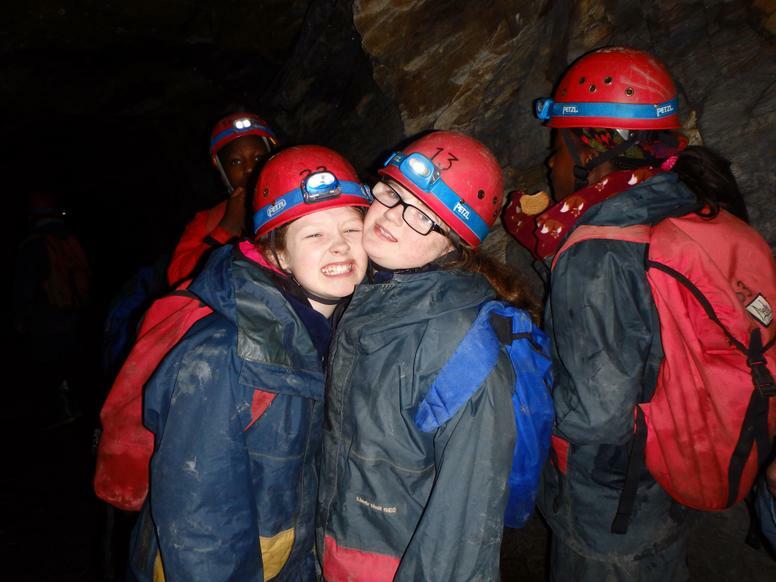 Off to enjoy a final evening together before we pack up and treasure our memories from a fabulous week away together. 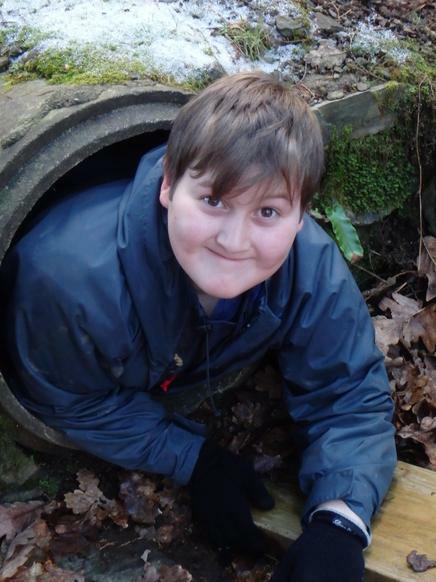 See you all tomorrow at 2 'clock. 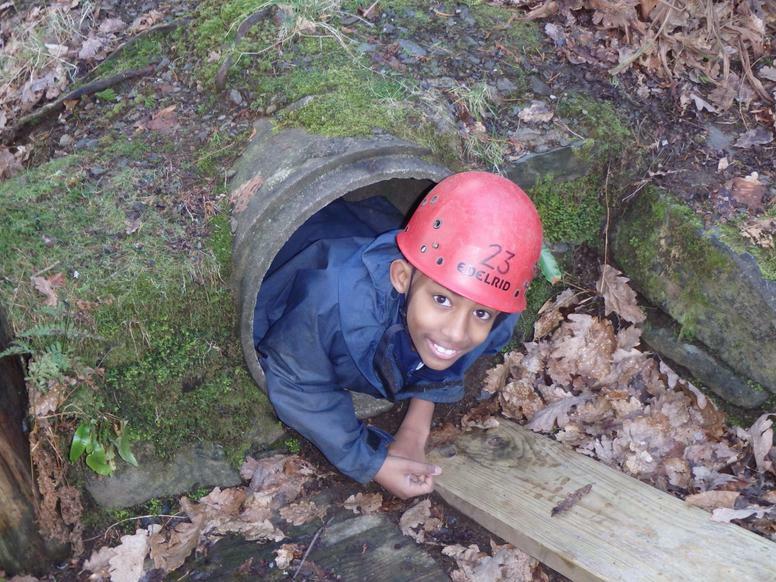 Problem Solving, Jungle Gym and Campfire Fun! 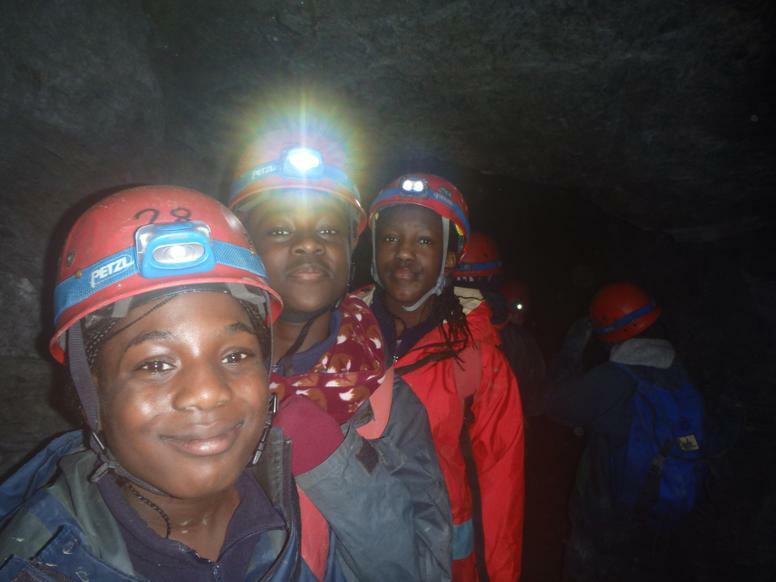 It has been a fun packed day today with adventure, new experiences and laughter a plenty! 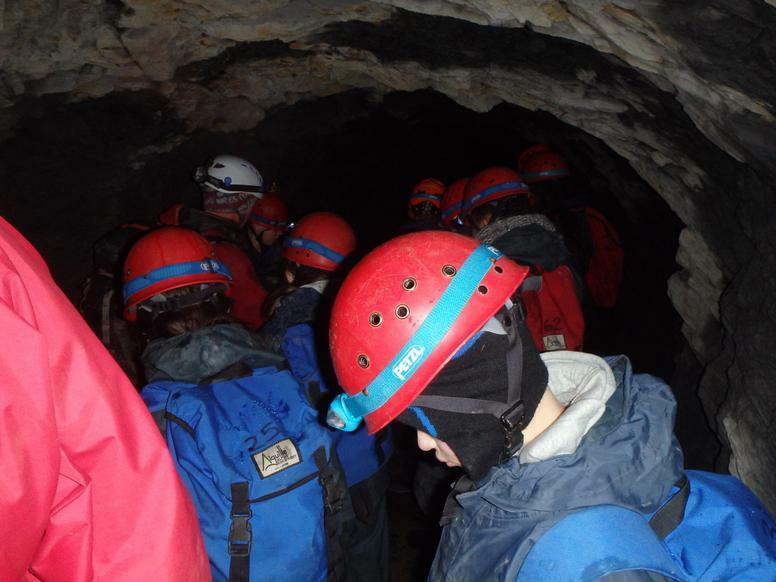 For the activities today we split into two groups. 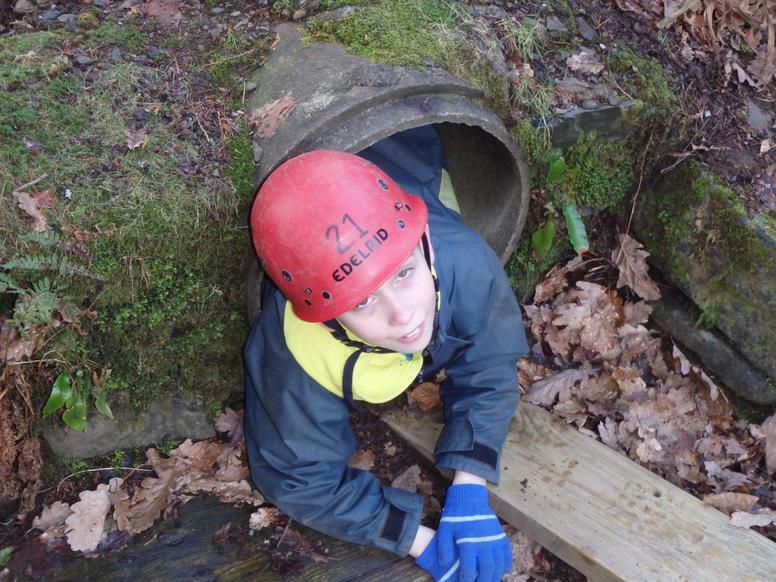 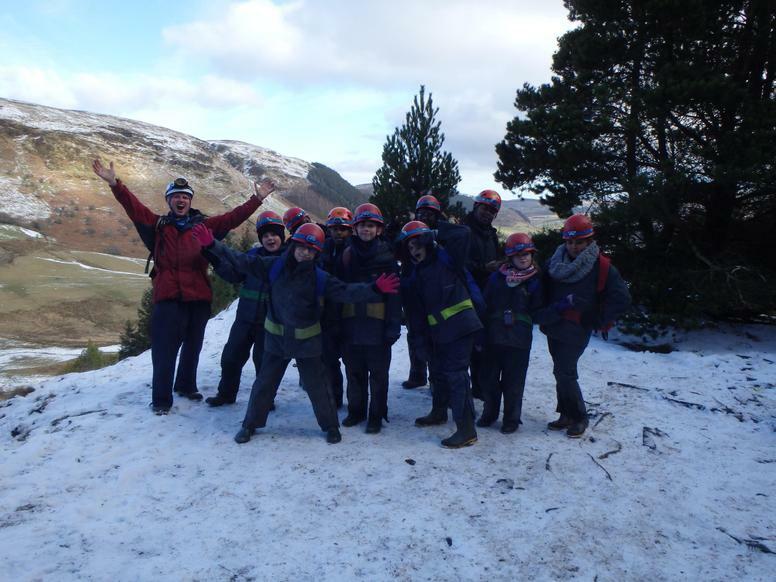 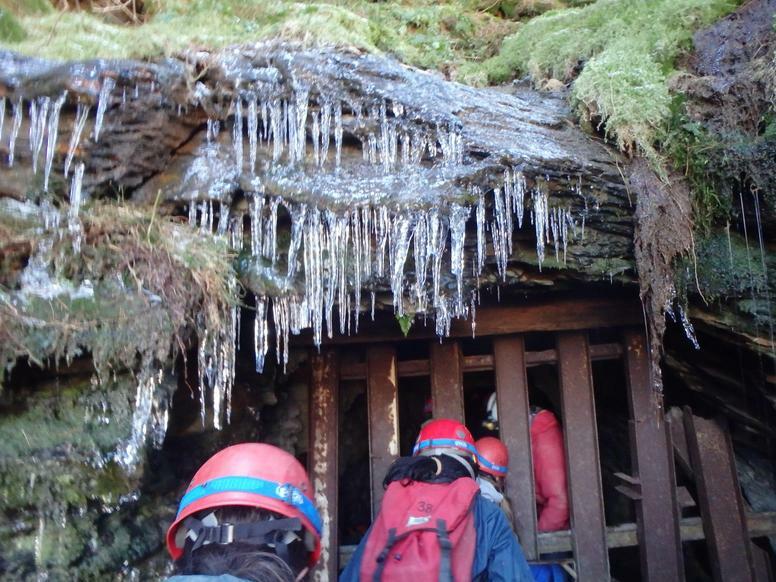 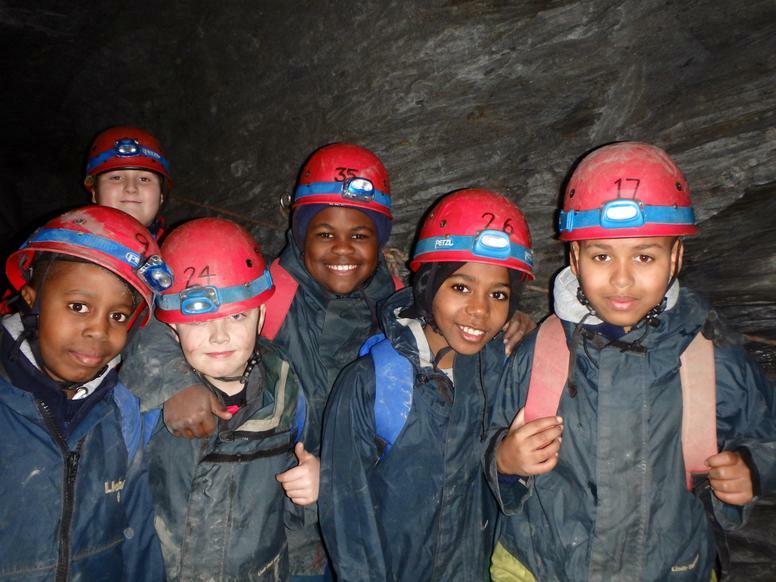 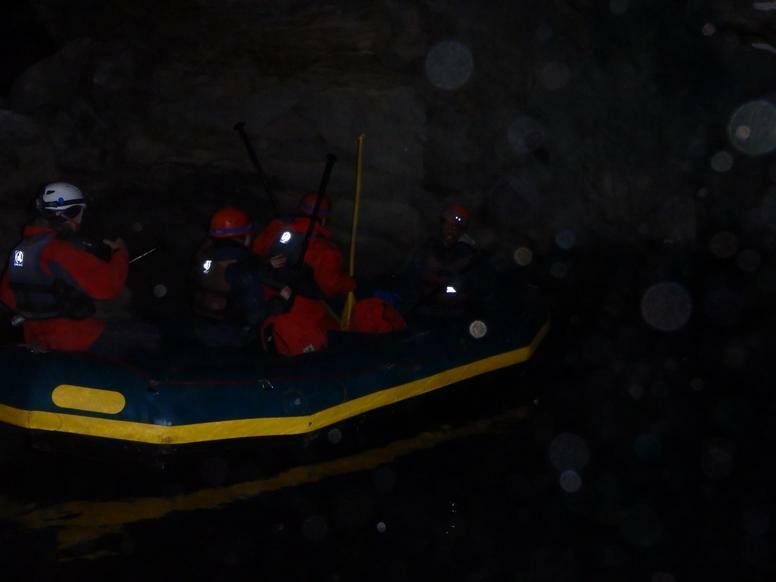 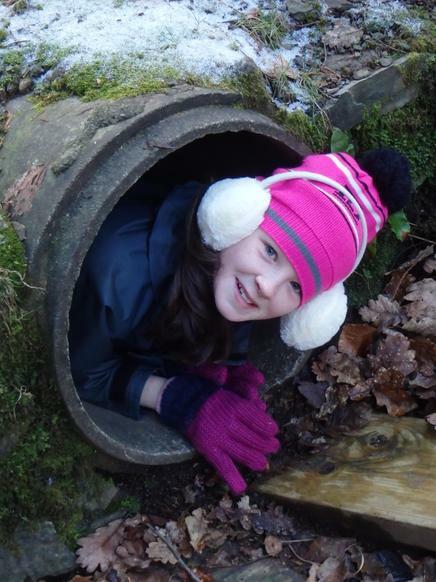 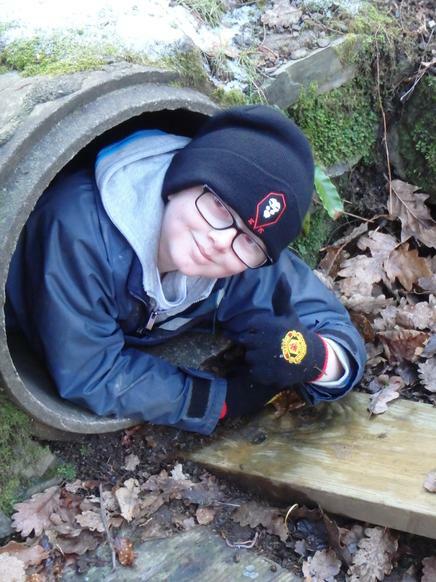 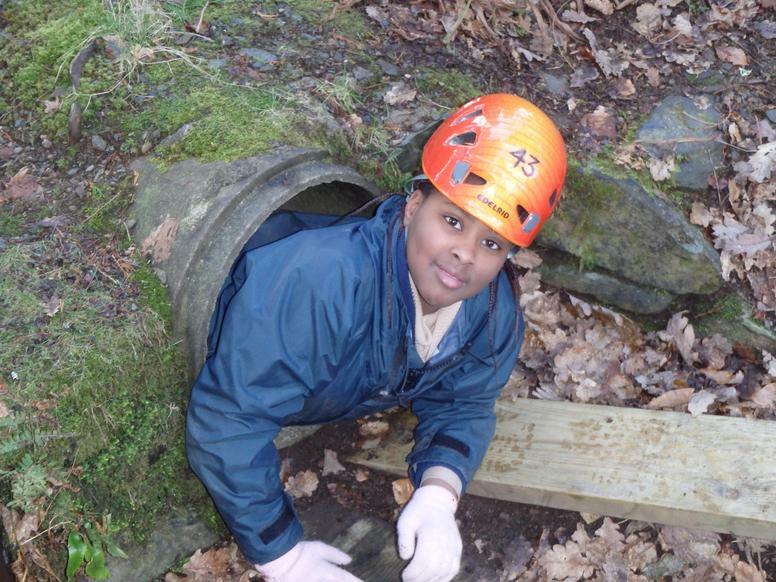 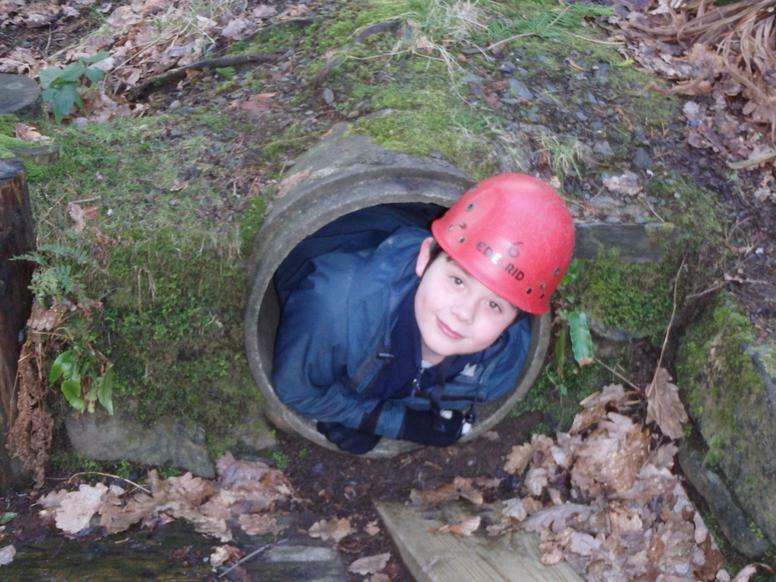 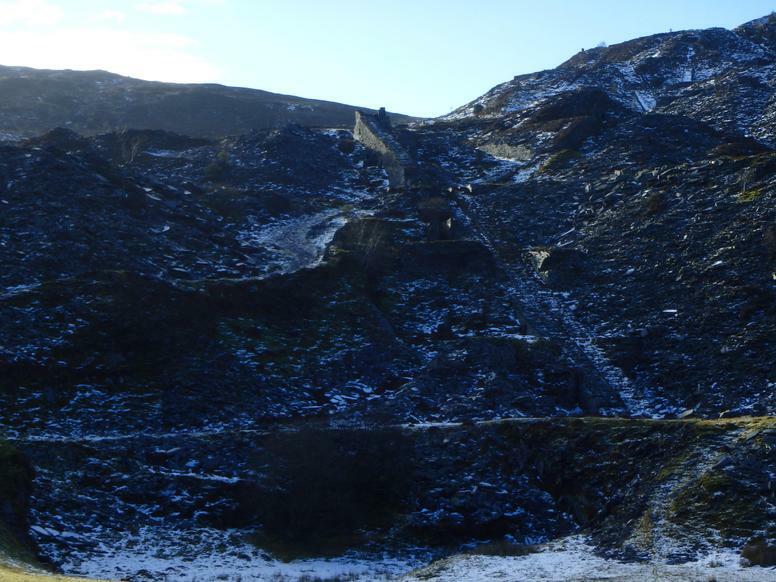 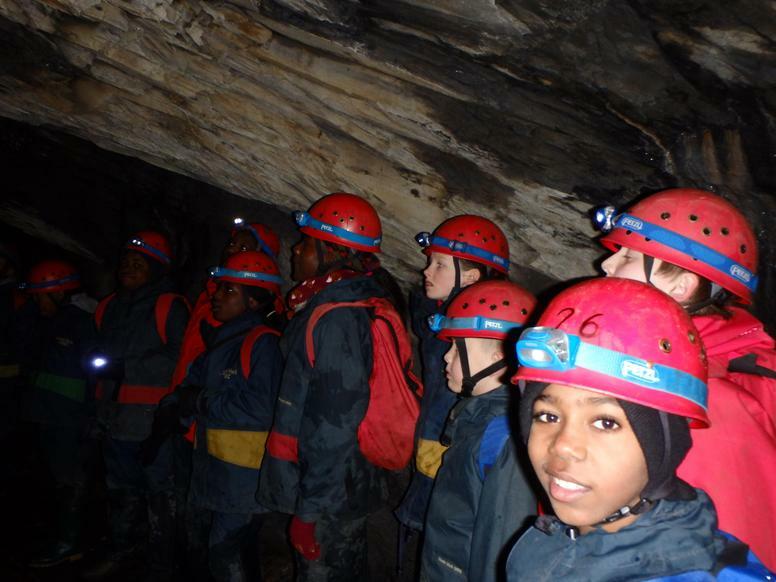 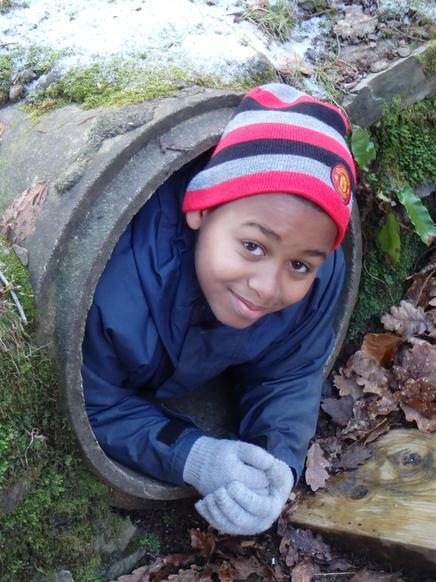 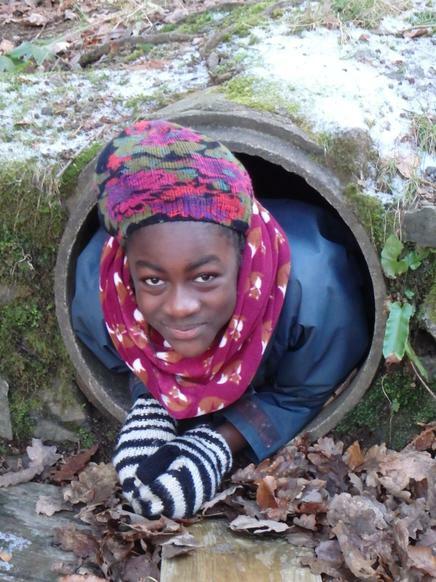 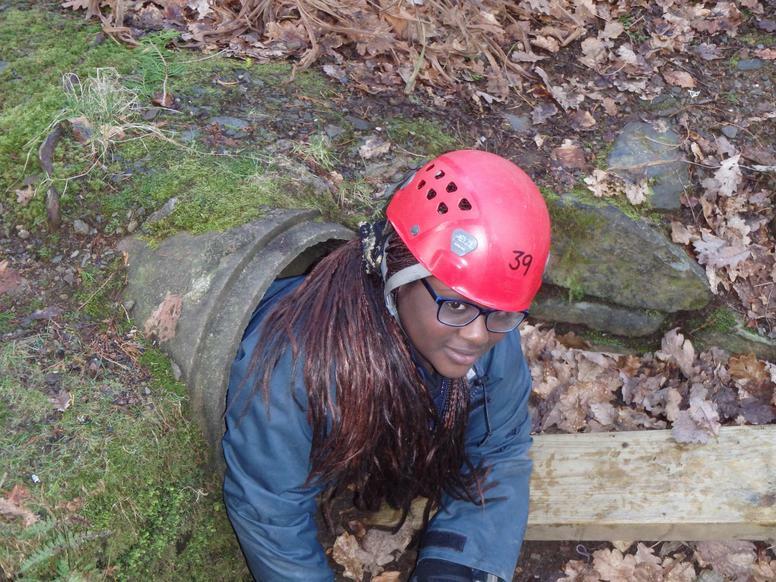 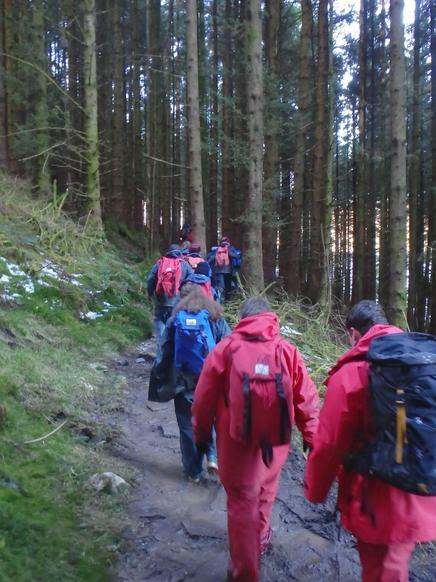 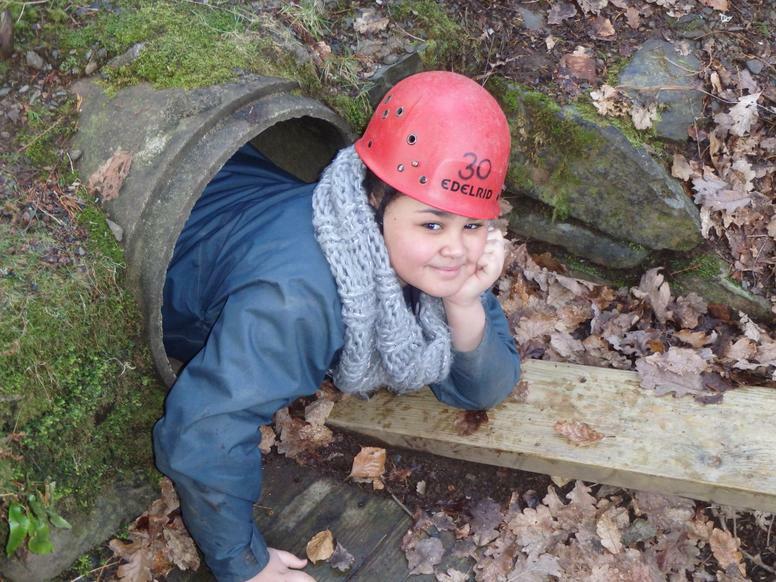 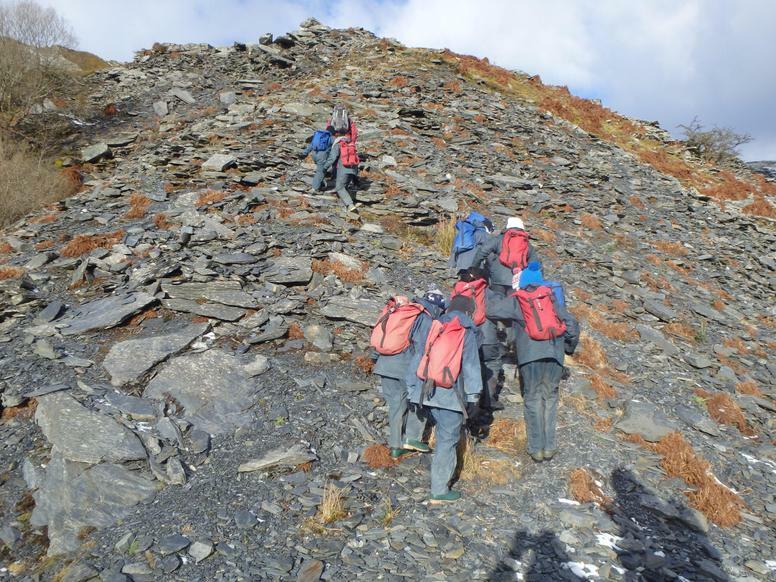 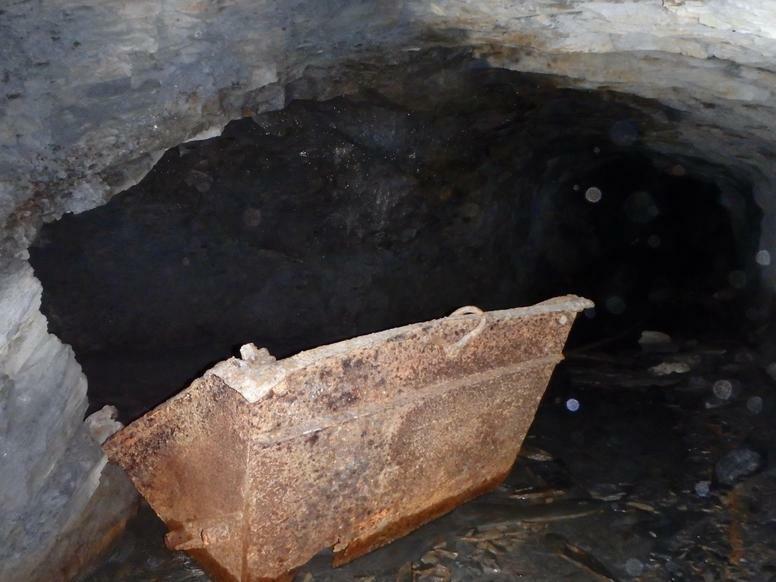 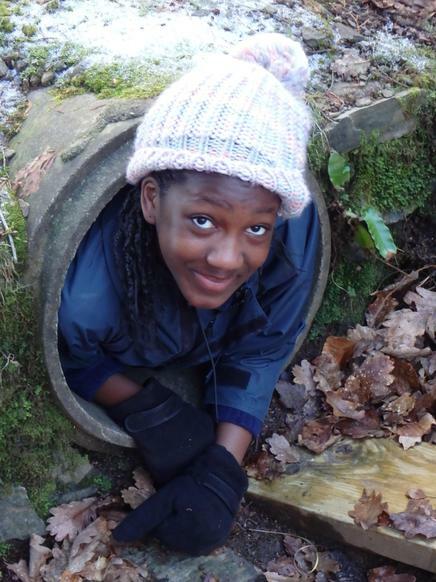 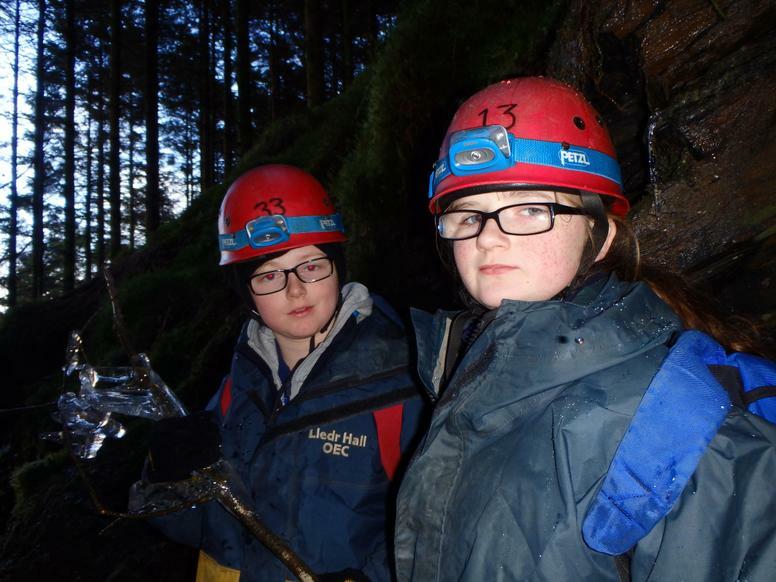 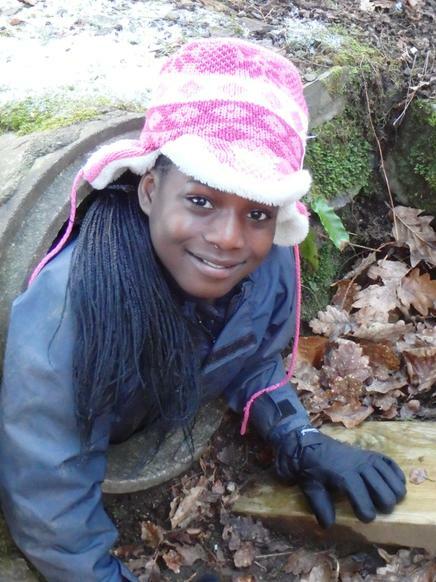 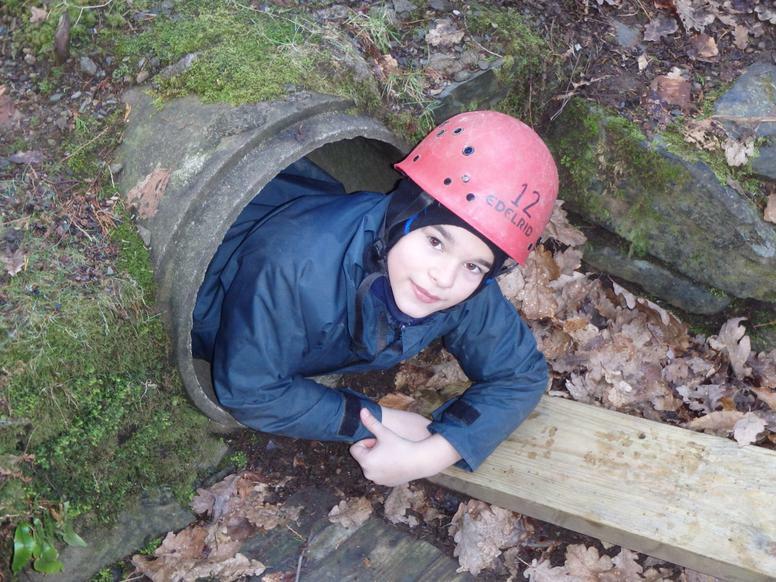 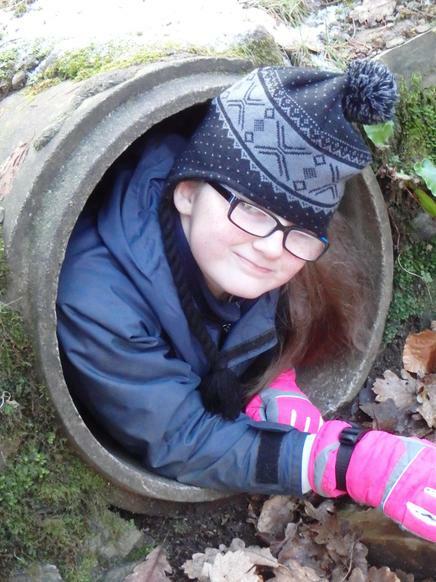 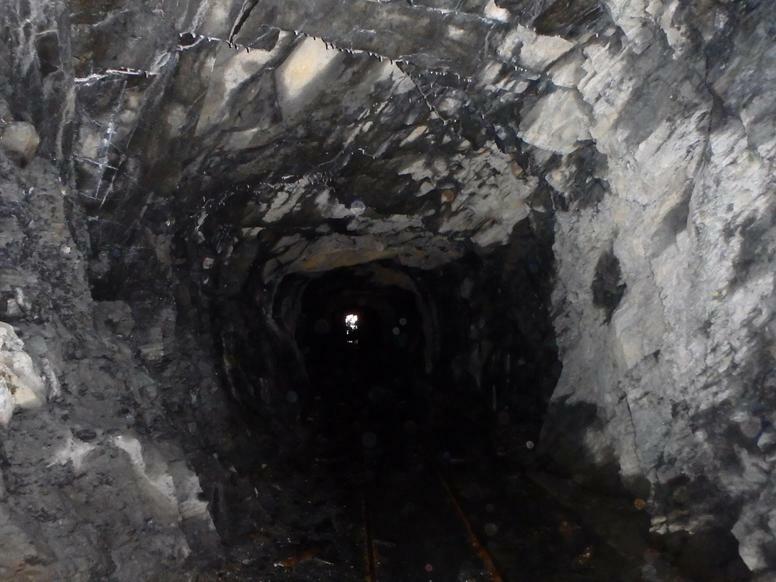 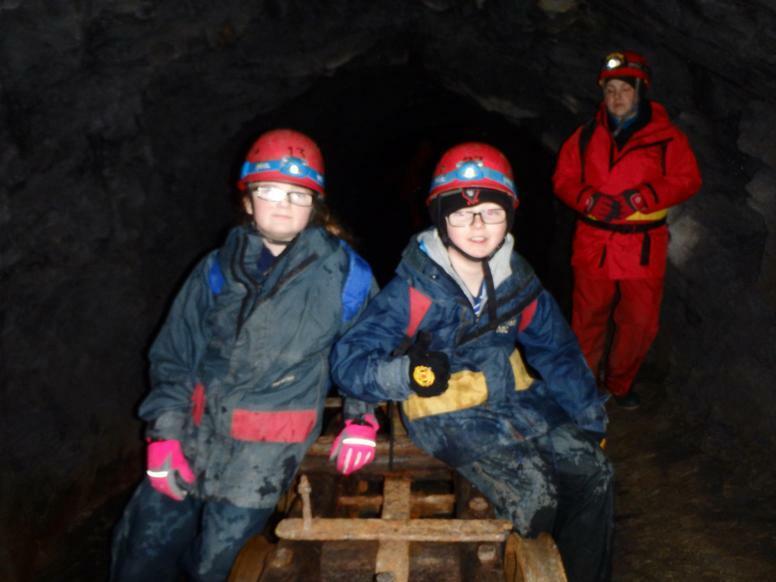 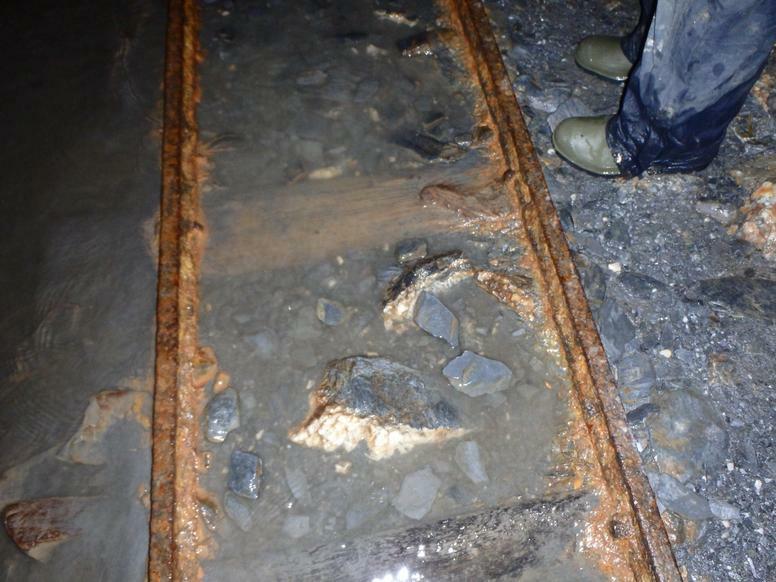 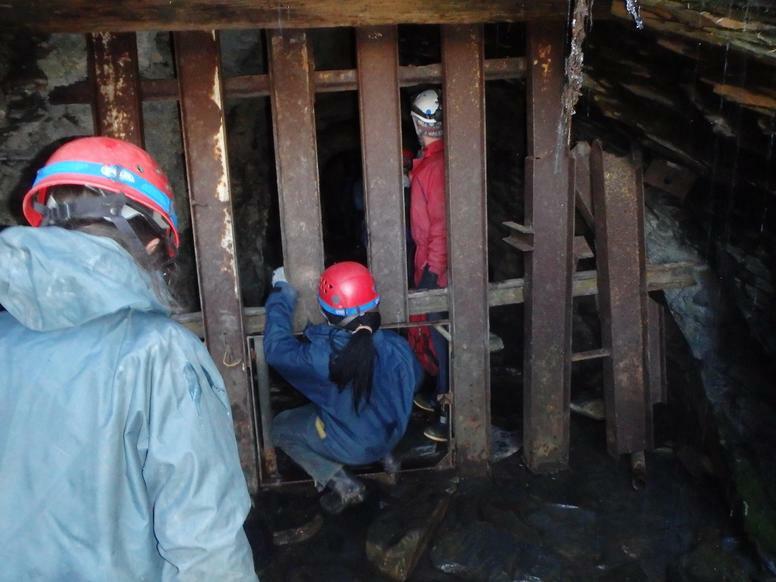 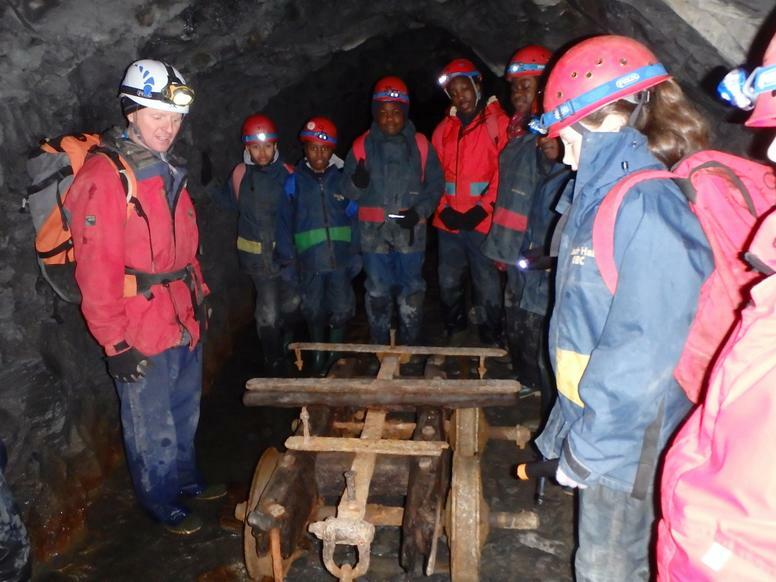 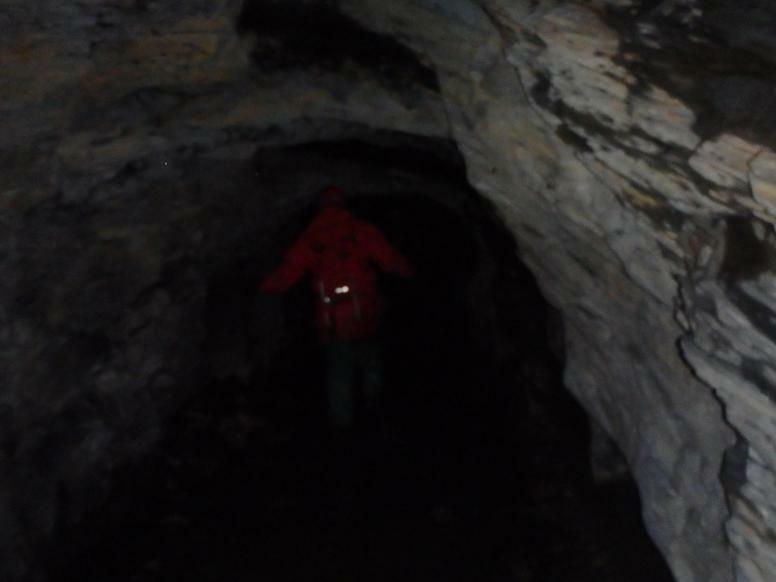 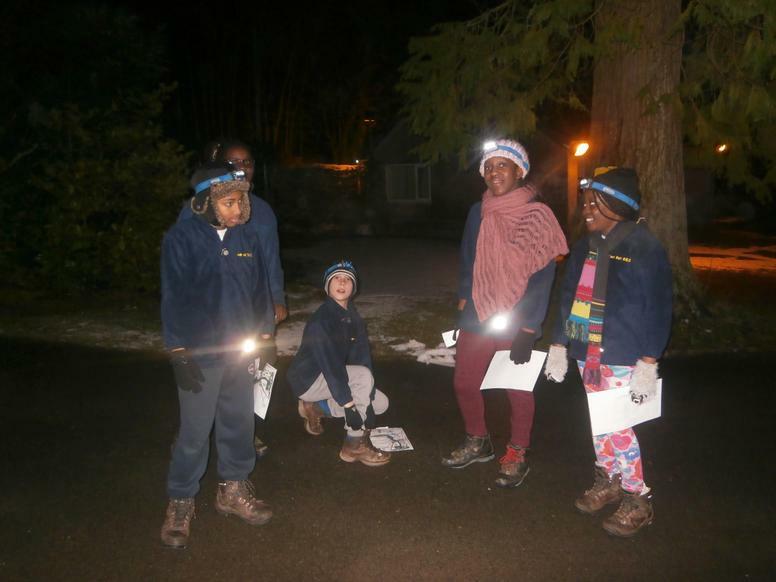 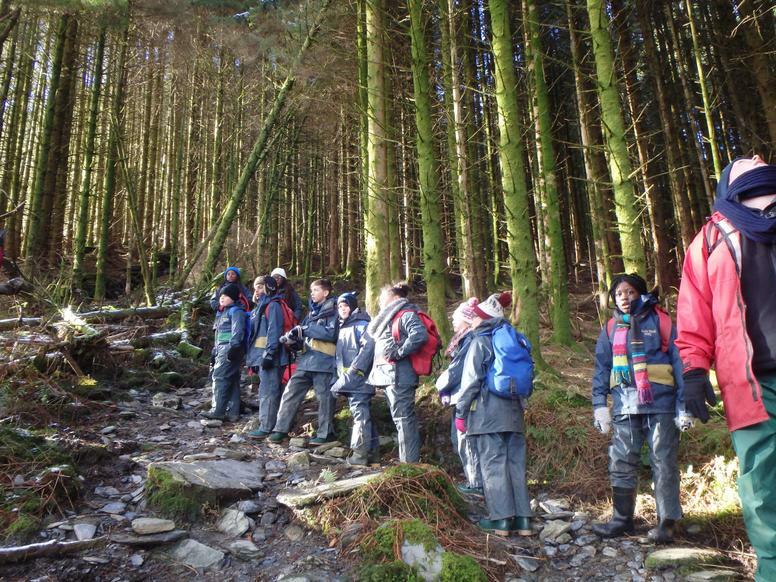 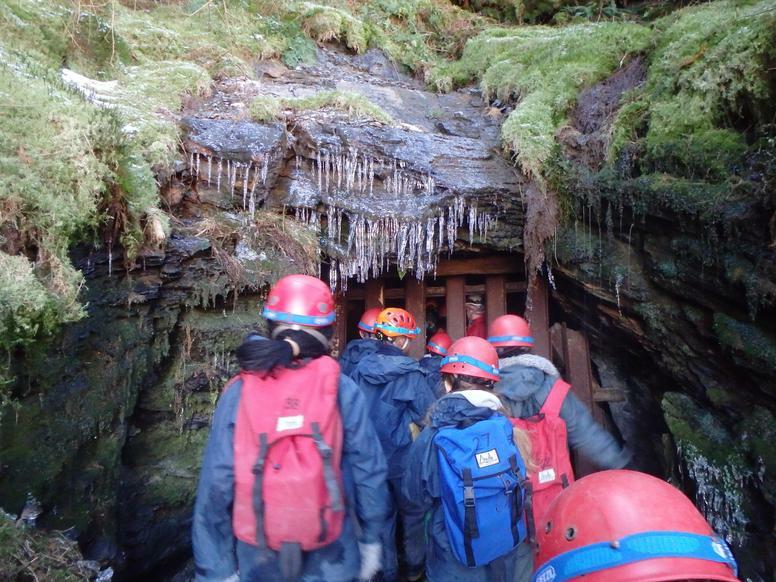 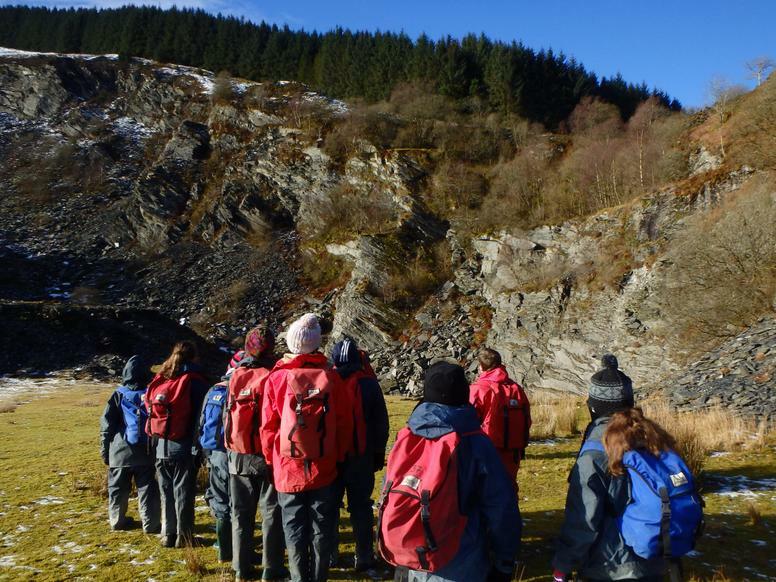 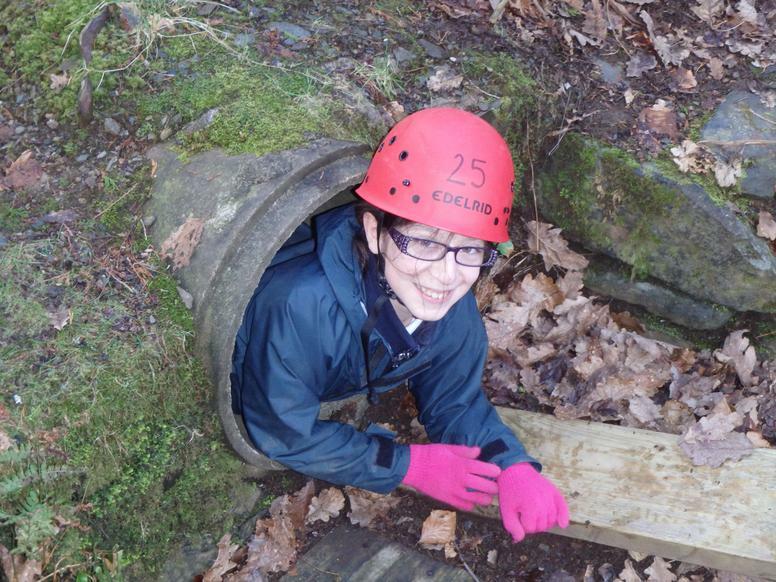 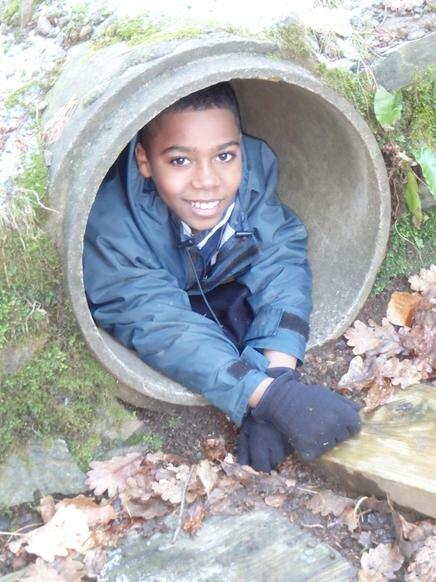 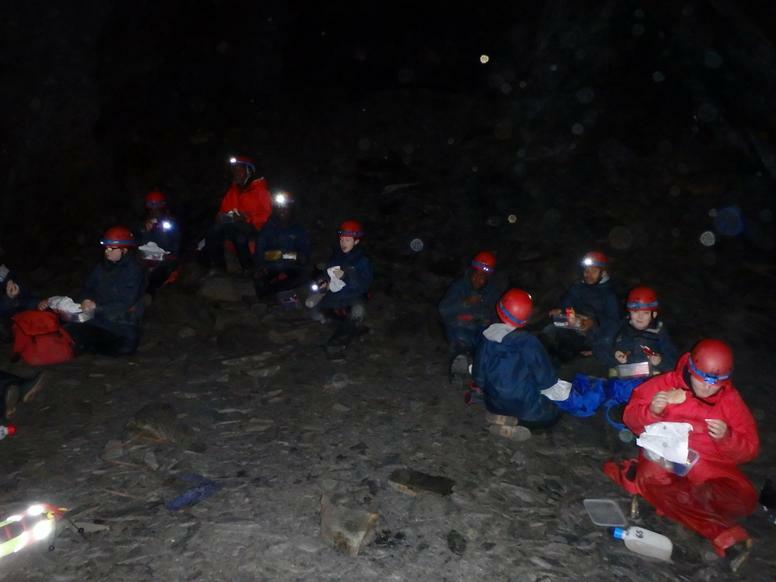 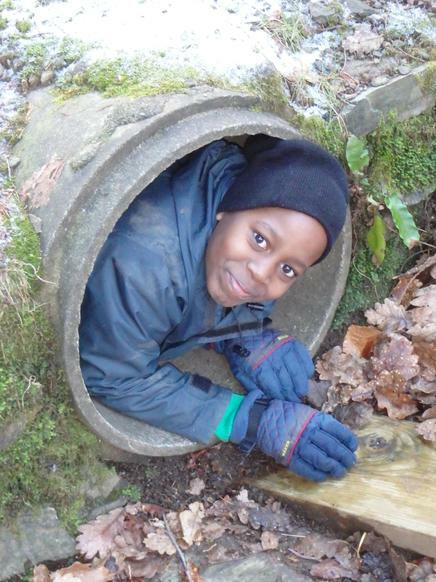 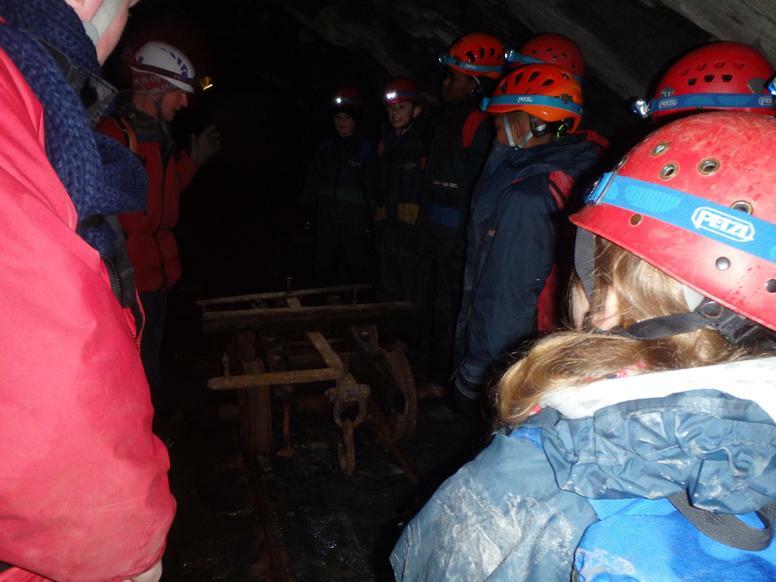 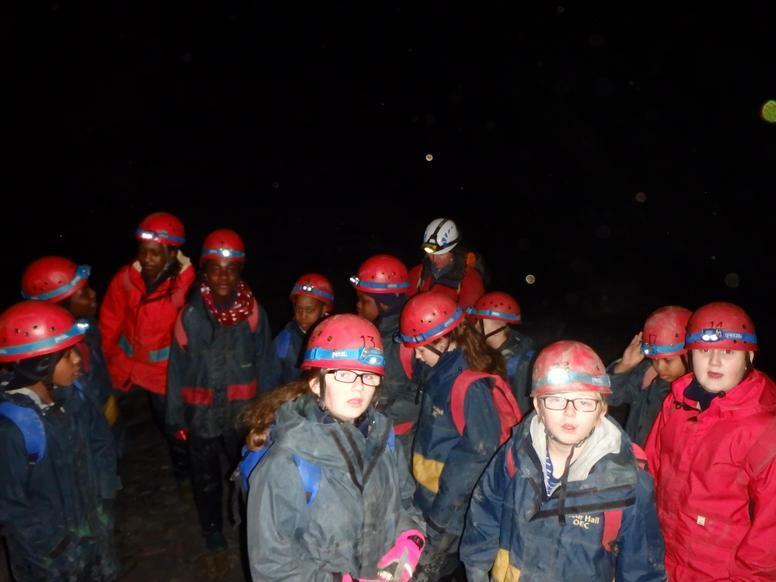 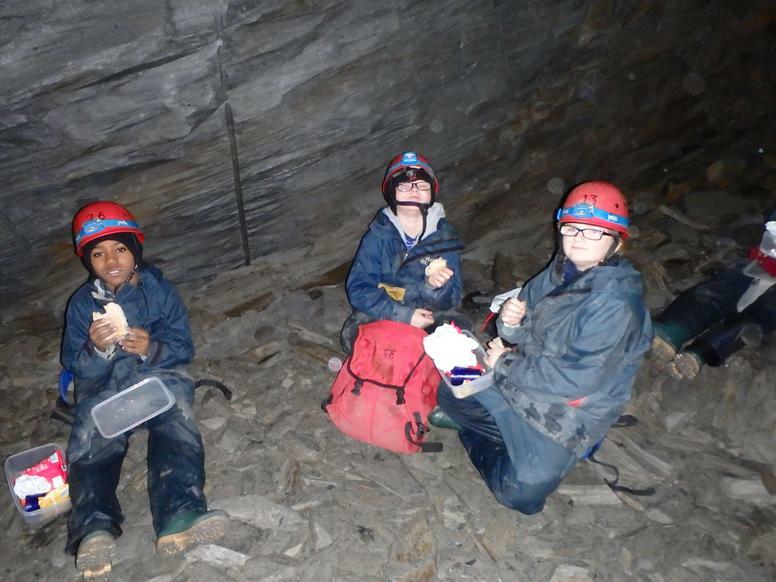 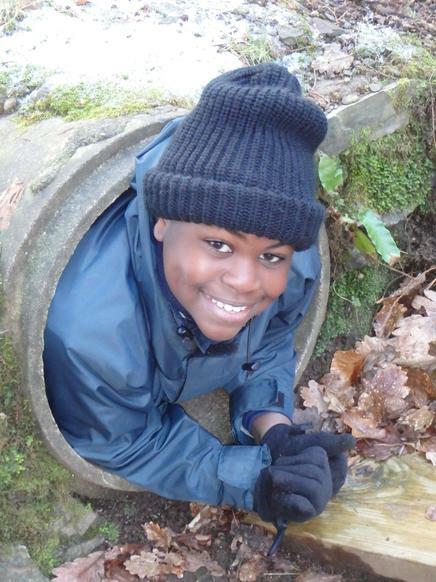 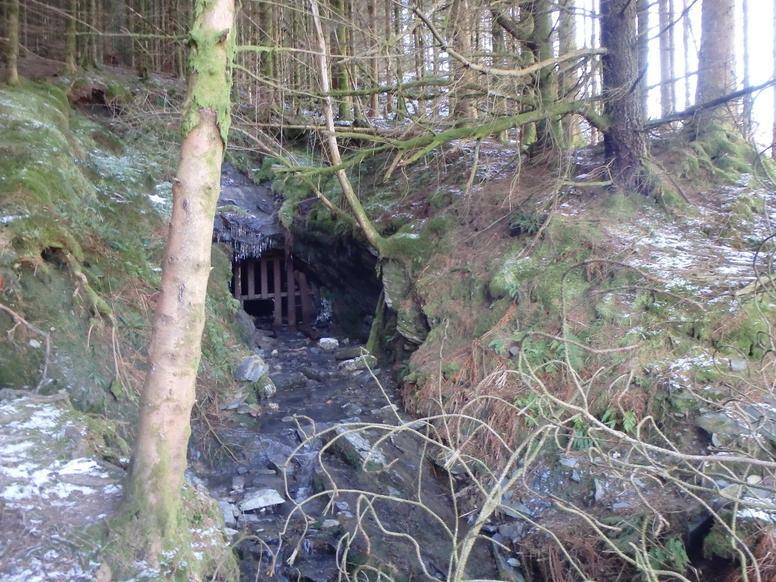 One group travelled into the mountains and enjoyed exploring a slate mine. 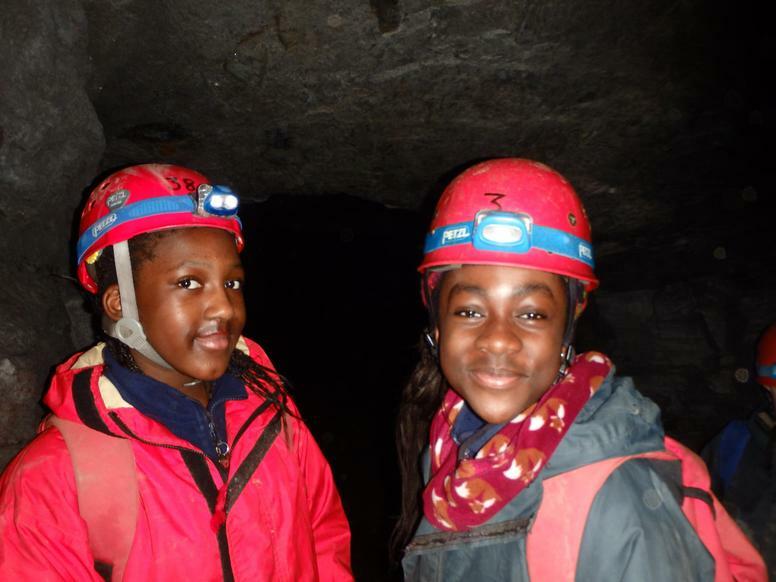 They ventured through a forest and up the mountain to find the entrance of the cave where they had lunch inside and found a few surprises! 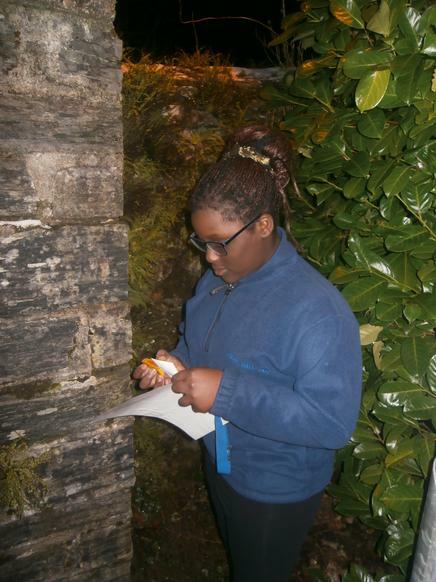 The other group had a chance to work as a team solving problems presented to them in exchange for crystals! 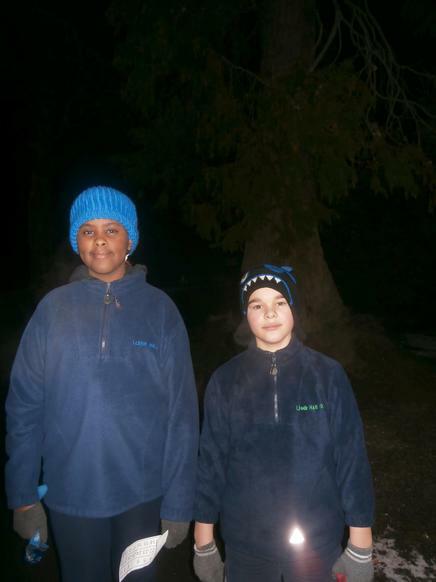 They then enjoyed a few hours on the high ropes course before a sing song around the camp fire and pancake making - yum! 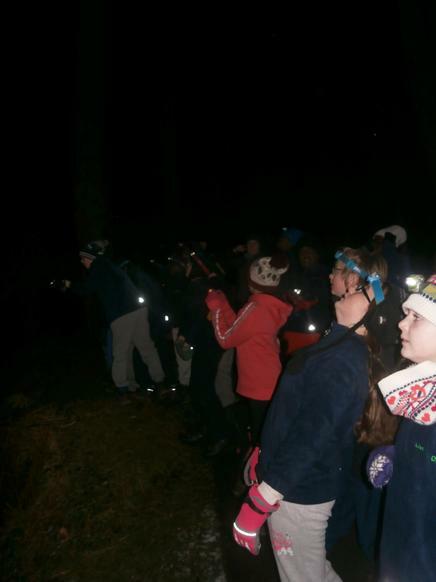 We all joined together this evening to experience the nightline activity in the dark. 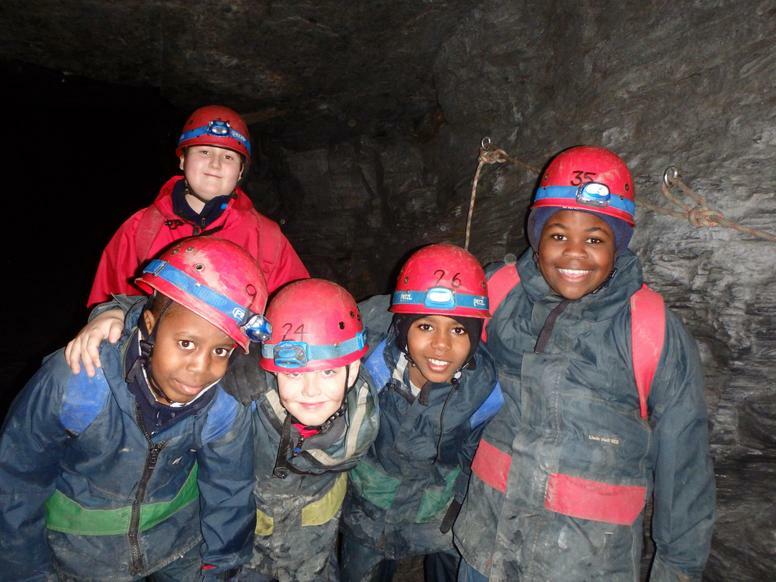 The team work and communication shown by all the children was incredible - well done! 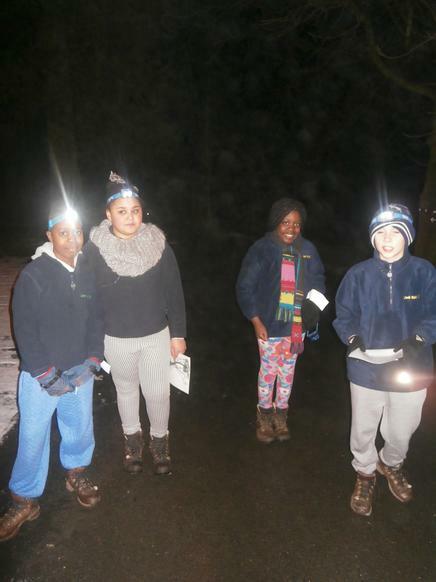 Now time for a movie and hot chocolate with marshmallows. 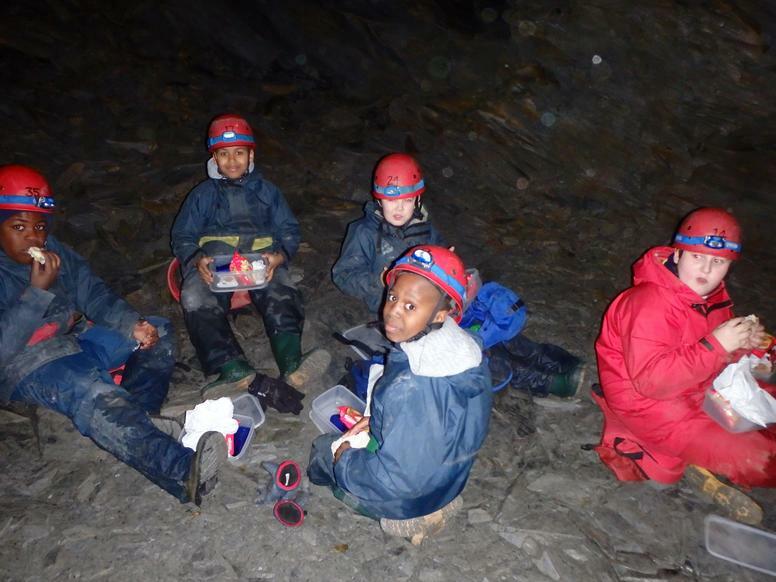 After a hearty breakfast we wrapped ourselves up for the day ahead. 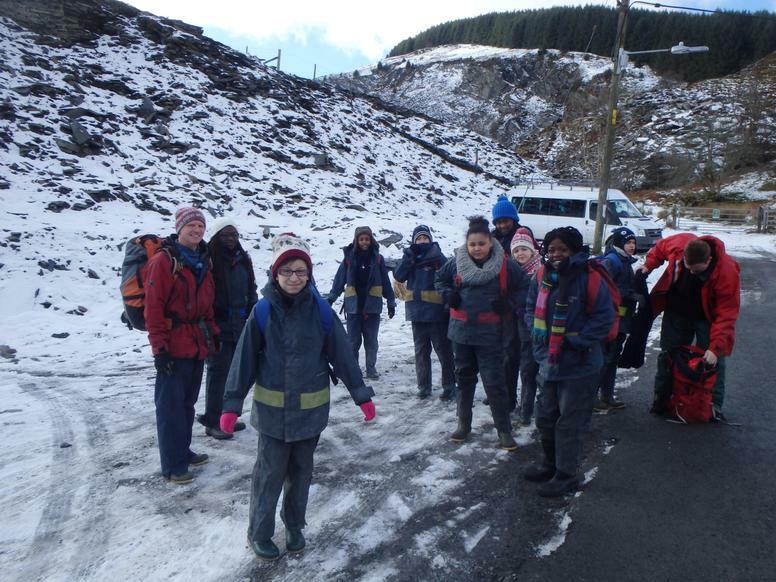 There were rumours of snow on the other side of the mountain so we set off with a stride in our step in search of glistening snow capped peaks- we weren't disappointed! 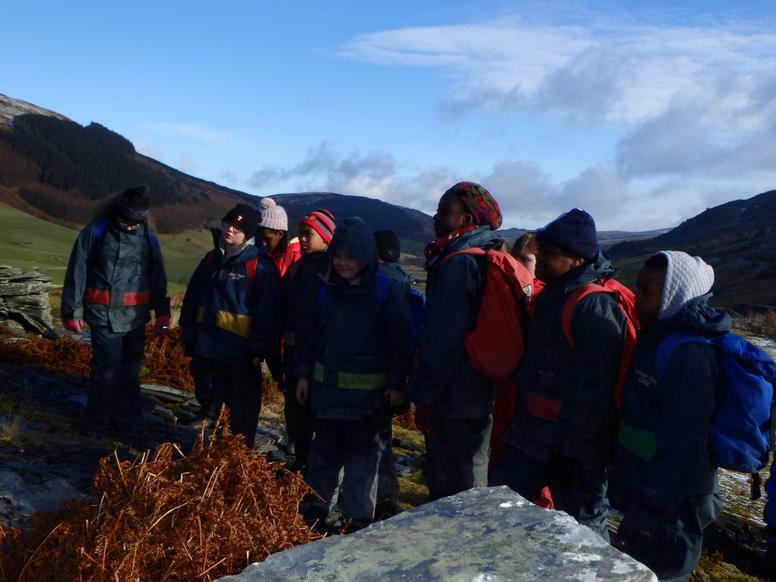 All the children did themselves proud and climbed the mountain. 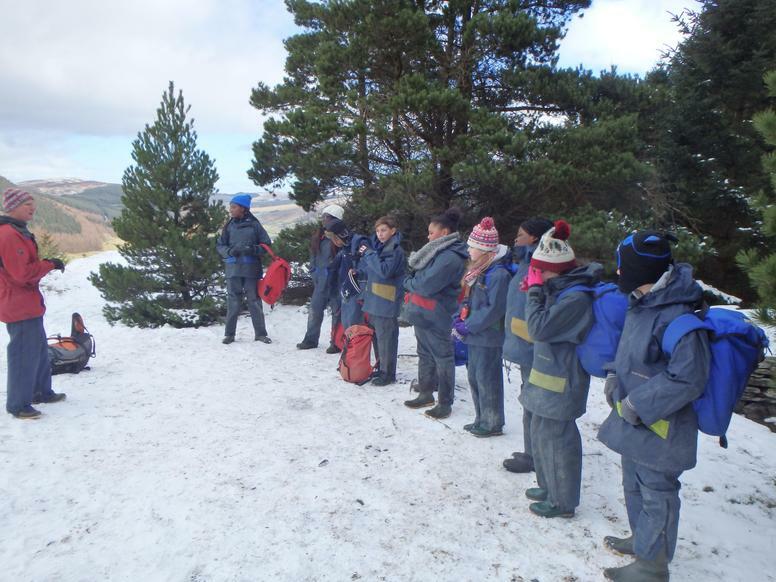 We stopped by a frozen lake for a spot of well deserved lunch. 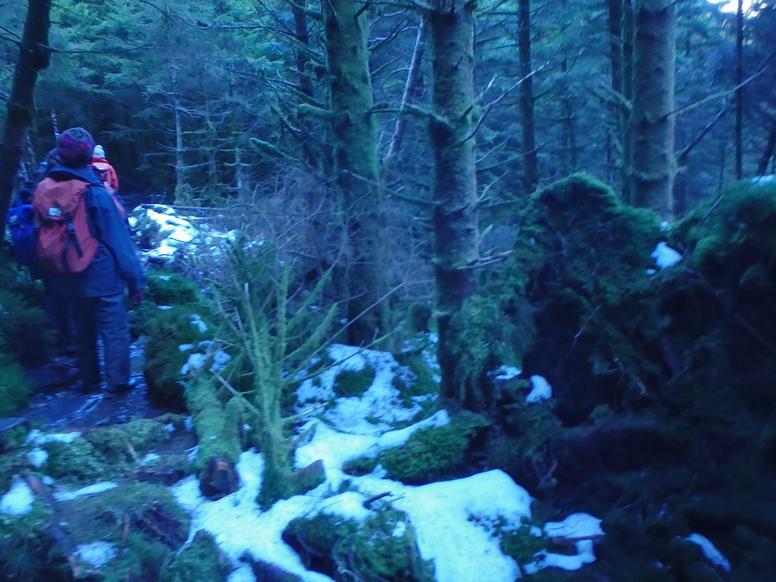 We were treated with a fly by from a fighter jet as we walked through the ankle deep snow! 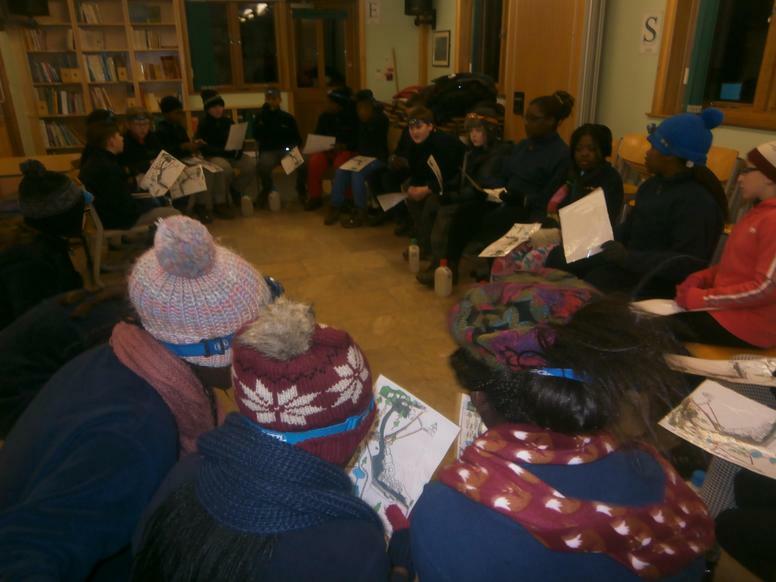 Sledging was on the cards this afternoon and much fun was had by all and topped off with a hot chocolate to boot! 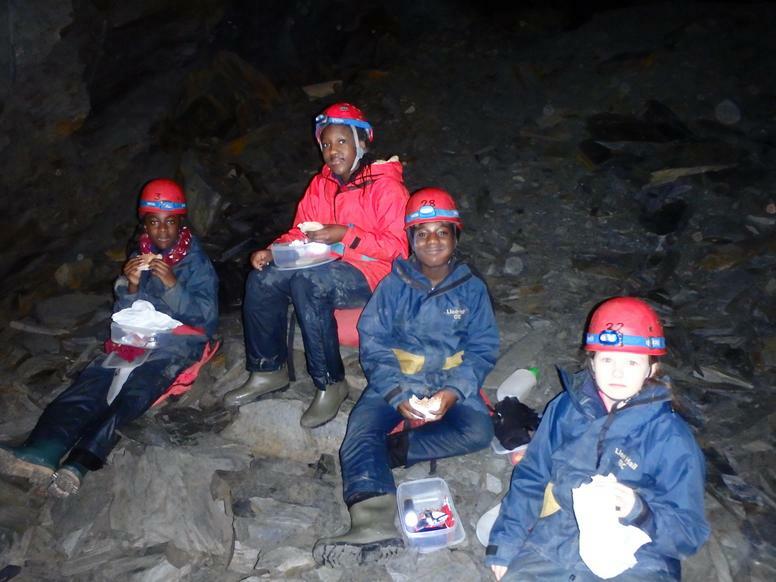 We have certainly worked up an appetite for our chicken dinner this evening! 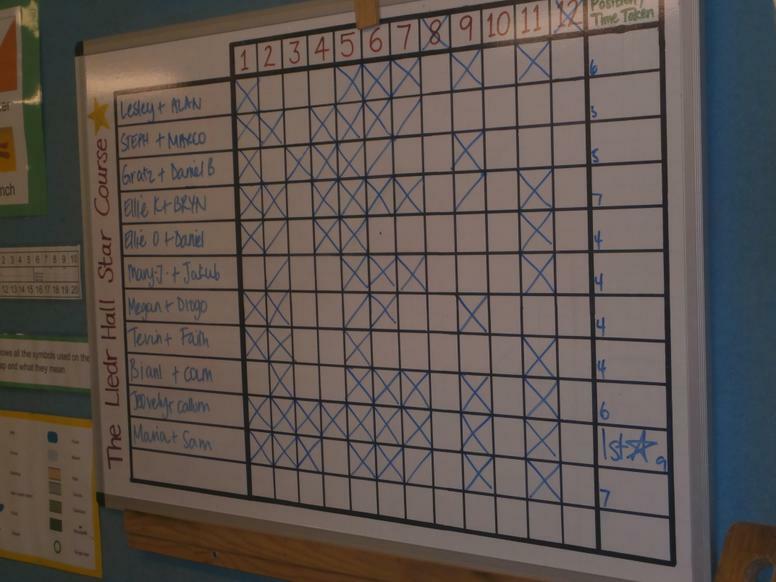 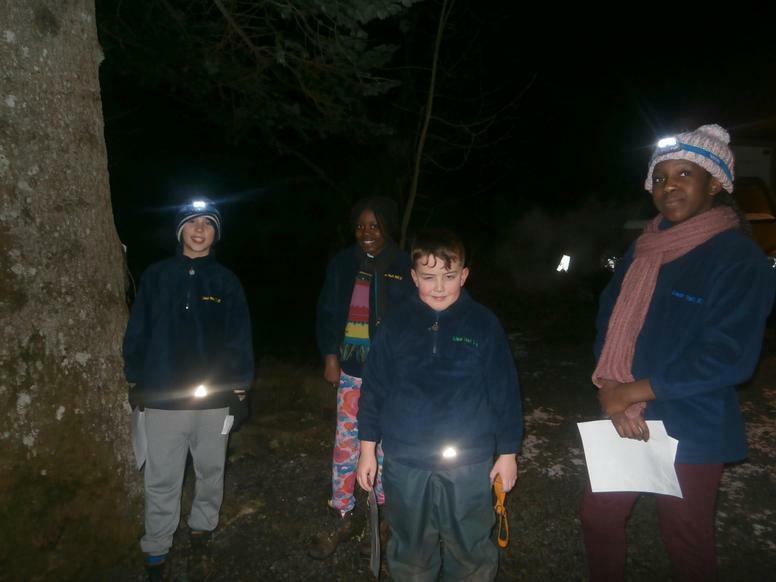 (Tuesday am) Well - the first night's sleep passed uneventfully and after standing guard the teachers got a bit of sleep too! 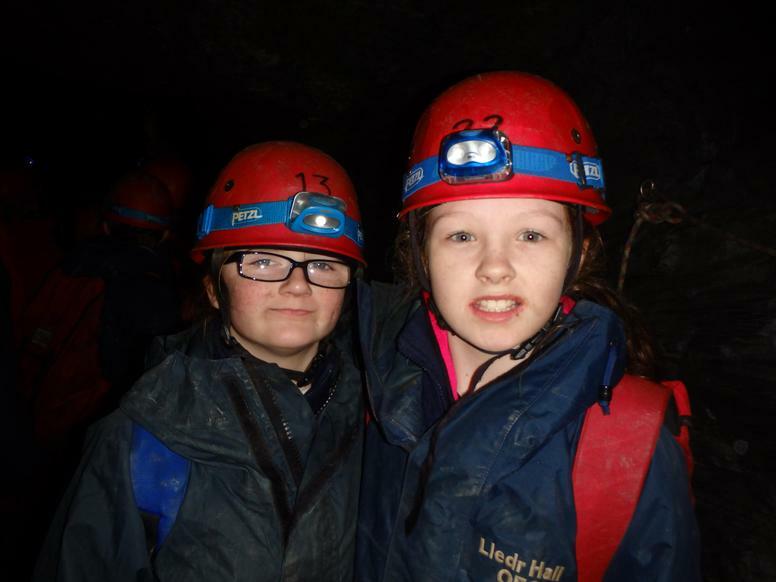 All slept well and are ready for a day full of activities ahead. 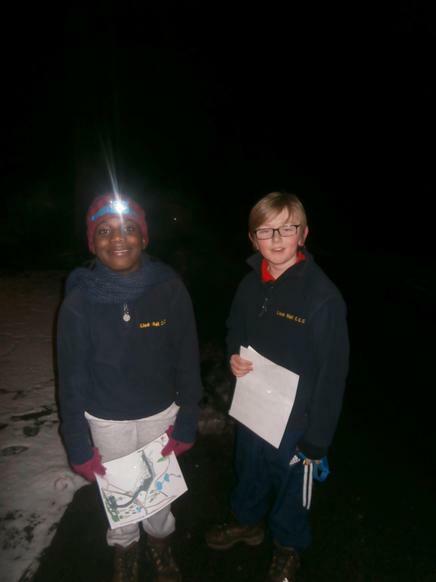 We thoroughly enjoyed venturing out this afternoon on a walk around the local area which had turned into a Winter Wonderland after last night's snowfall. 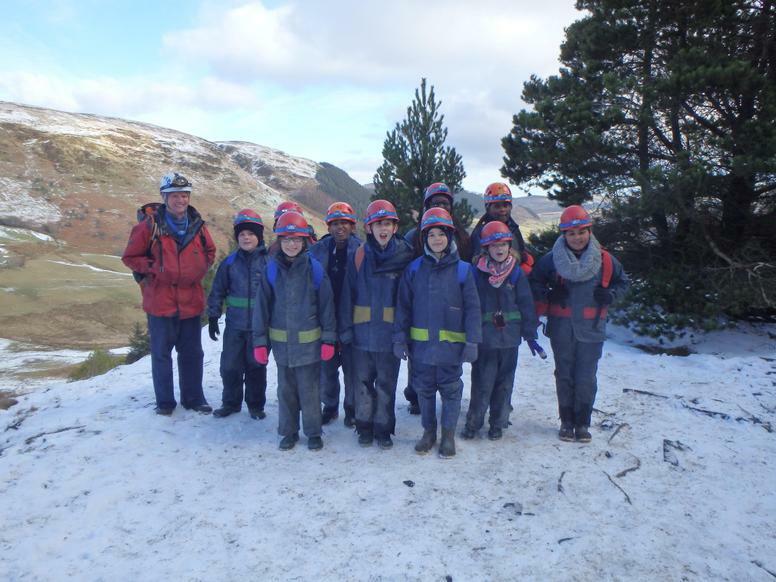 After creating snow angels we had a well deserved play in the snow. 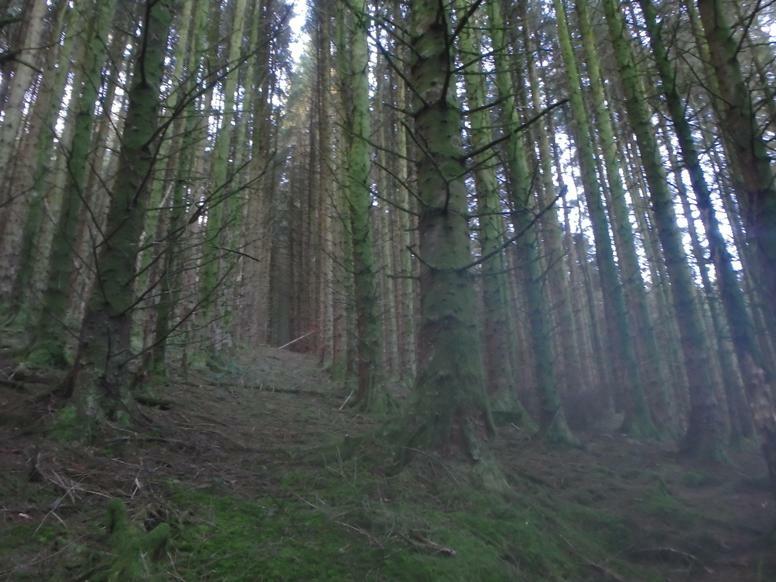 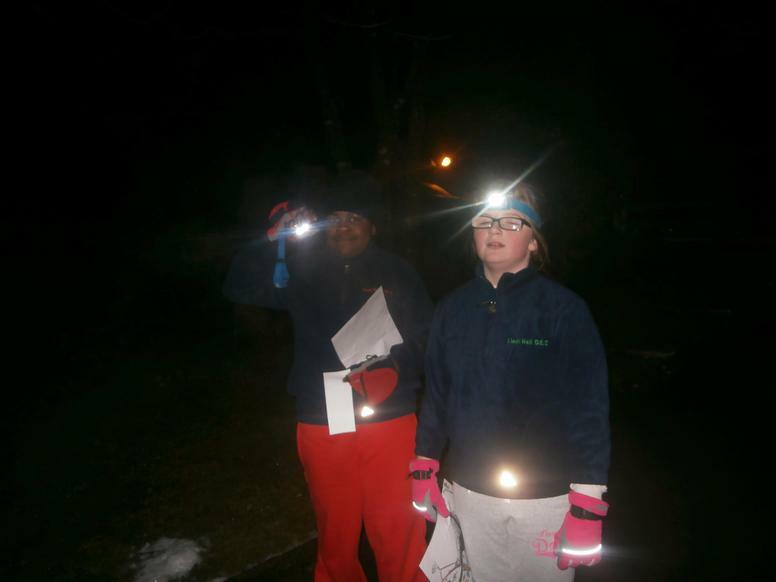 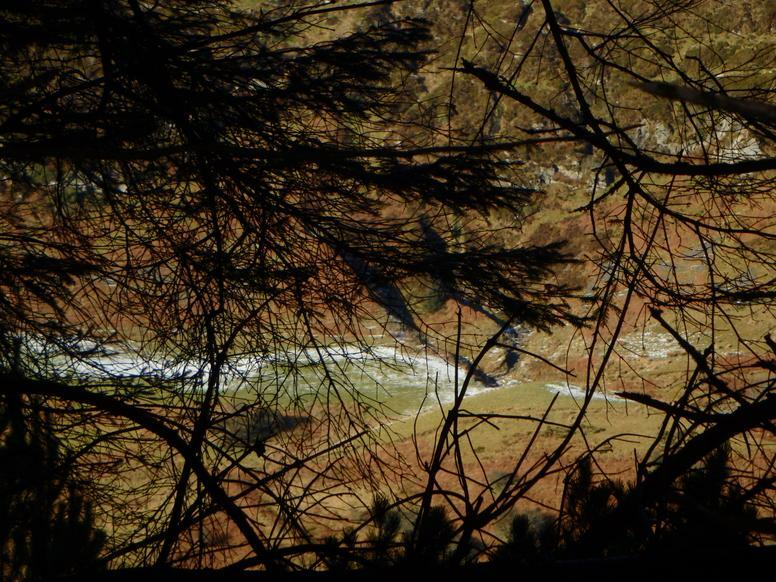 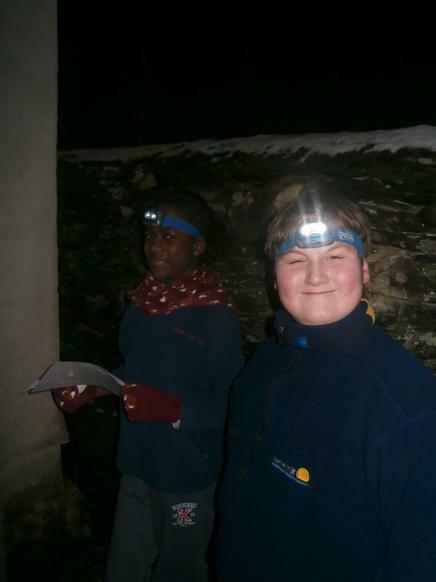 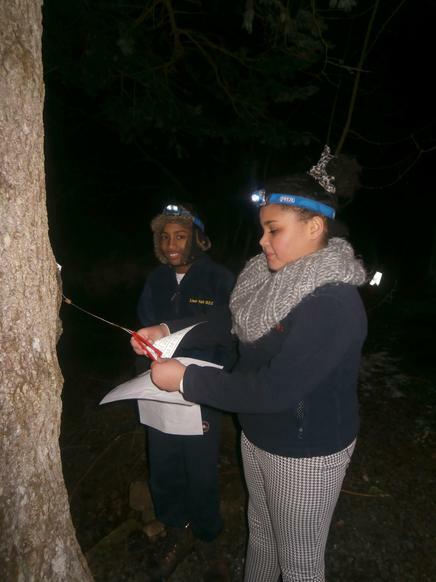 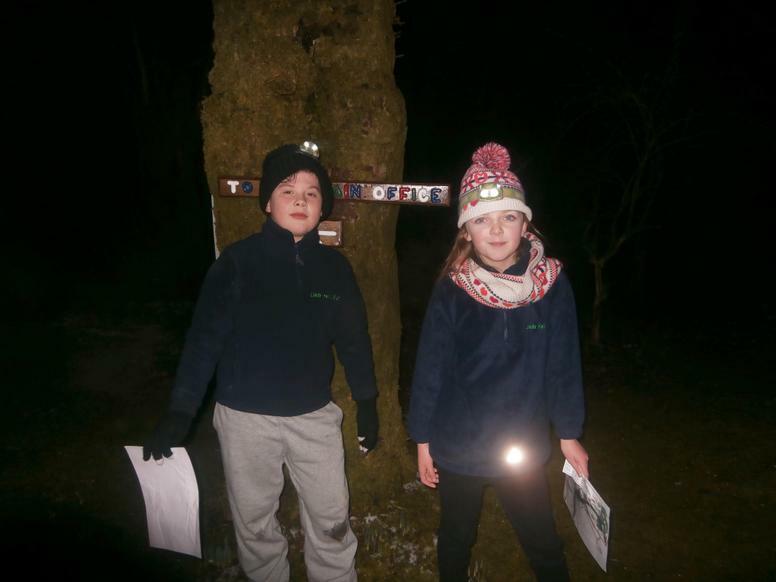 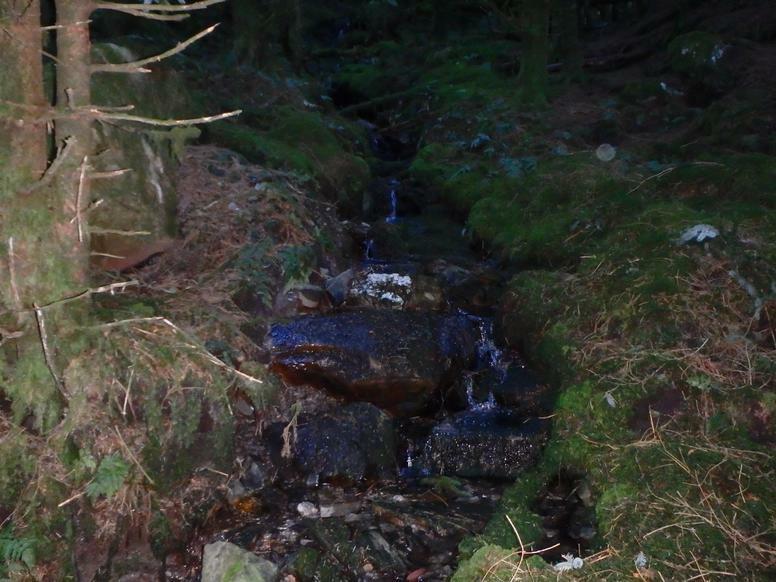 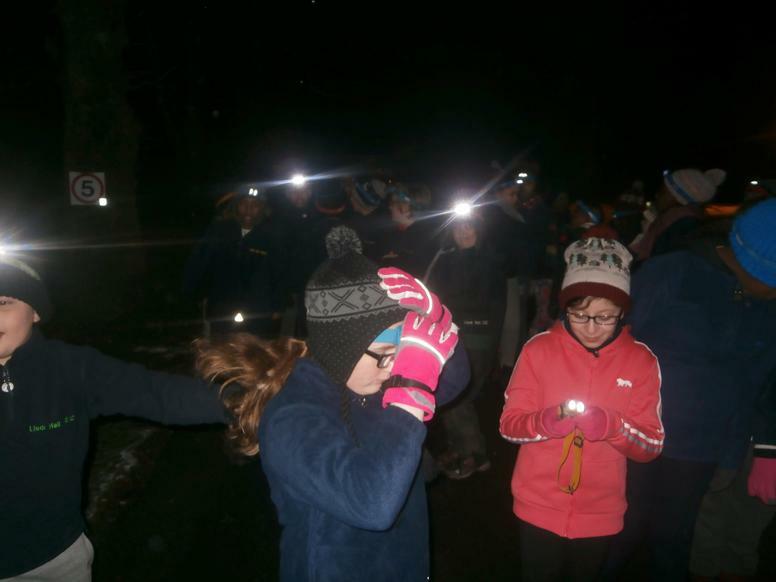 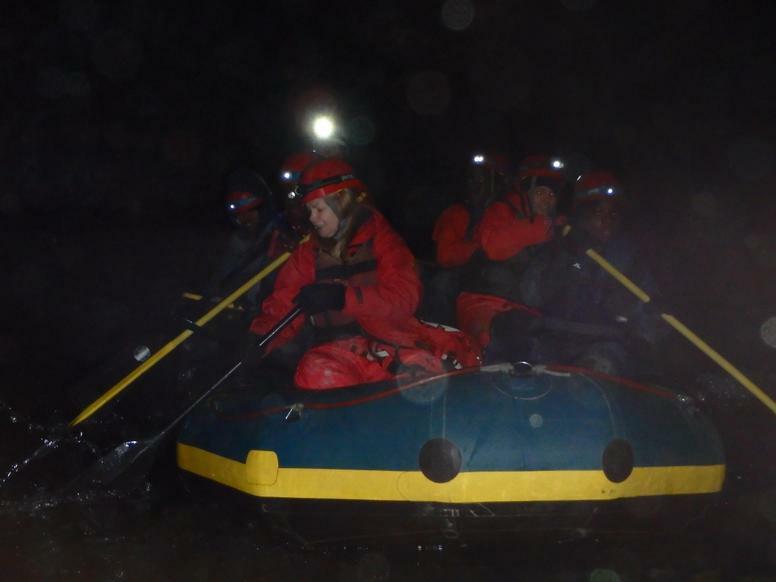 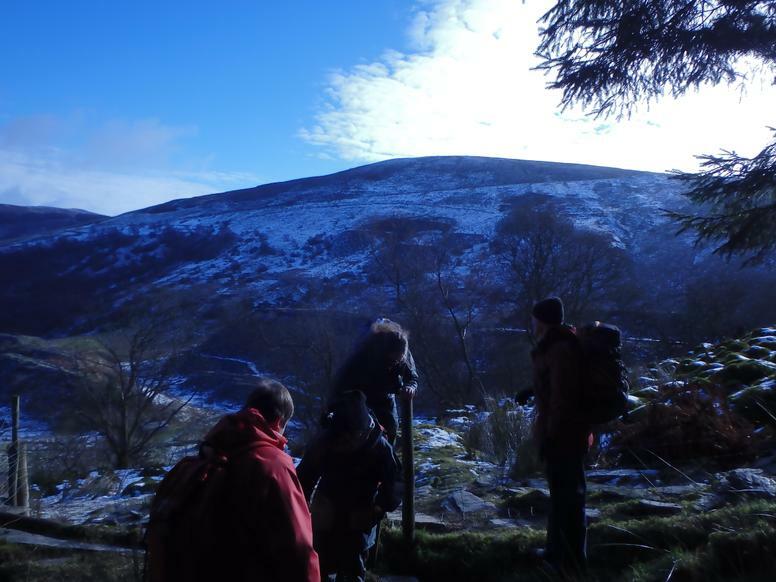 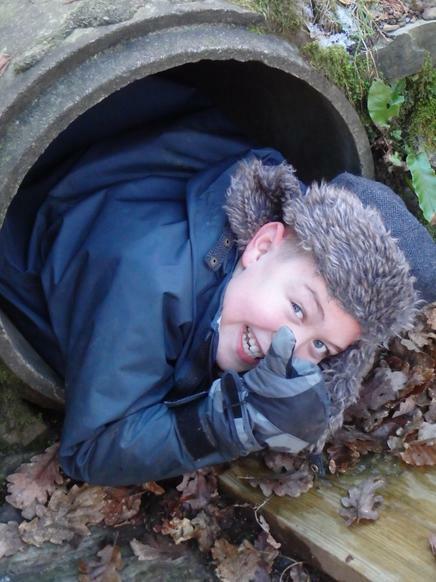 Then it was back for a nourishing warm hot three course meal and Orienteering by torchlight!